You've probably got the jist I love Halloween by now haven't you? Well it was my 4th wedding anniversary to Stew at TattooedOwl.com and he brought me a few of the Halloween bath bombs from Lush I'd had my eye on! My wedding anniversary was only yesterday (12th) but a few days ago I managed to fall down about 8 stairs and left myself with some rather lovely bruises and was super sore for a few days so Stew let me pick a bath bomb early and go for a well deserved soak! I decided to use the Monster Ball bath bomb first because it's utterly adorable. It reminds me of Monsters Inc and it has such a sweet floral scent I just had to use it. I mean just look at him, so sassy with that one eye! Monsters Ball has lime and neroli oils which give it that gorgeous fragrance and unlike other bath bombs I've tried it didn't leave my skin feeling dry (although it did leave some pretty tough pink stains to remove from my new white bath...). It definitely didn't disappoint when it hit the water, fizzing around leaving trails of vibrant blue, purple and pink while turning the water a gorgeous purple colour. The eye of the monster is a bath melt which contains goodies such as cocoa butter which is why it leaves your skin feeling gorgeous too. 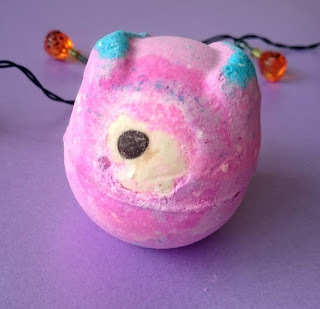 It's one of those bath bombs you need to try, it's a bit of fun and really does make it into my top 10 Lush products! The other two I haven't tried yet but I can't wait too! Pumpkin is sweet smelling and contains vanilla and cinnamon with a side of buttery biscuit. I've read mixed reviews about it, with some saying it was like laying in a bath of Pumpkin pie and others saying it was more like an orange Fanta, either way I'm excited! I mean it looks like a Pumpkin, it basically screams Halloween! You can see why I just had to have this little guy can't you? Boo is a bath melt which I've never actually tried before, he contains mimosa, ginger, cocoa butter, sandalwood and Sicilian mandarin oil. 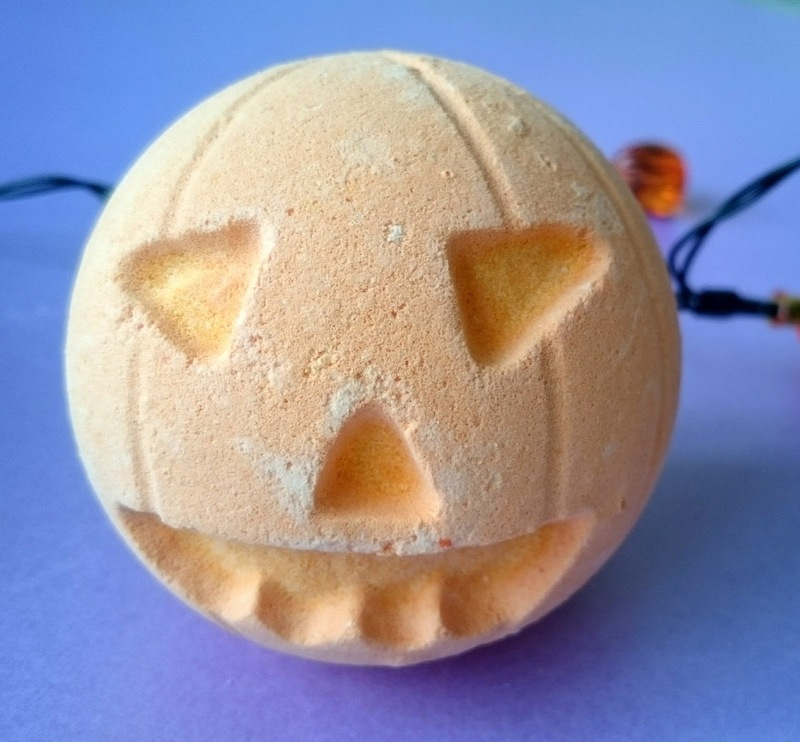 He's meant to not only smell fab but leave you feeling like a silky Halloween Goddess! I can't help but feel he is a tad on the expensive side though, I know Lush isn't the cheapest but it's usually value for money where as Boo is tiny and £3.50! 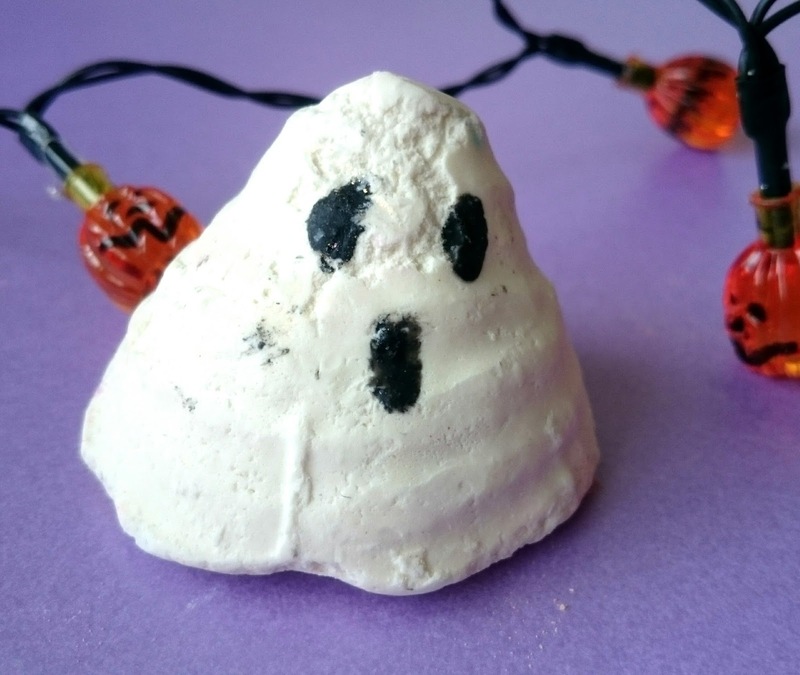 I suppose it's because he does have so many ingredients crammed into his little spooky self but still, I better get out the bath feeling like the happiest Ghoul alive! 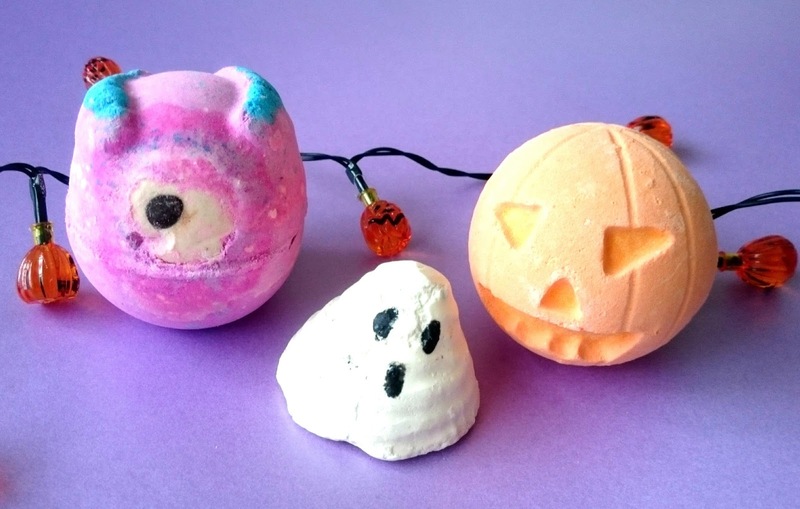 Have you tried any of the Lush Halloween range?